Mailbell monitors your email account for new mail. You are notified of new mail. Unwanted mail can be deleted automatically. 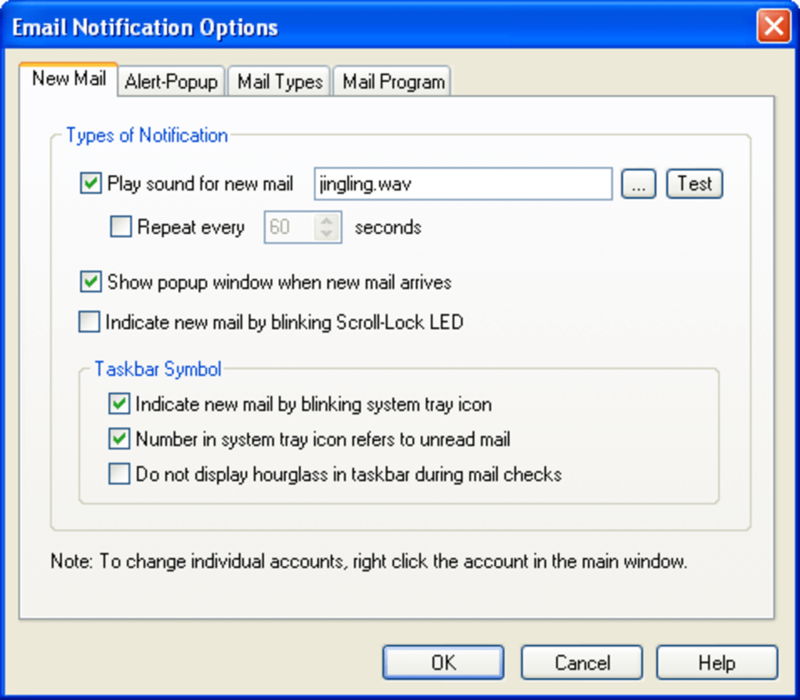 MailBell is a utility that lives in your system tray and periodically checks email on POP3, IMAP4, MAPI and Web-Email accounts. It can check multiple accounts and works on lans and permanent internet connections as well as with dial-up networking (where it automatically detects when you go online). When new mail arrives the program can automatically start your mail reader, play a sound and/or display an unobstrusive notification window from which yon can start your mail reader if you like (by clicking with your right mouse button on it). 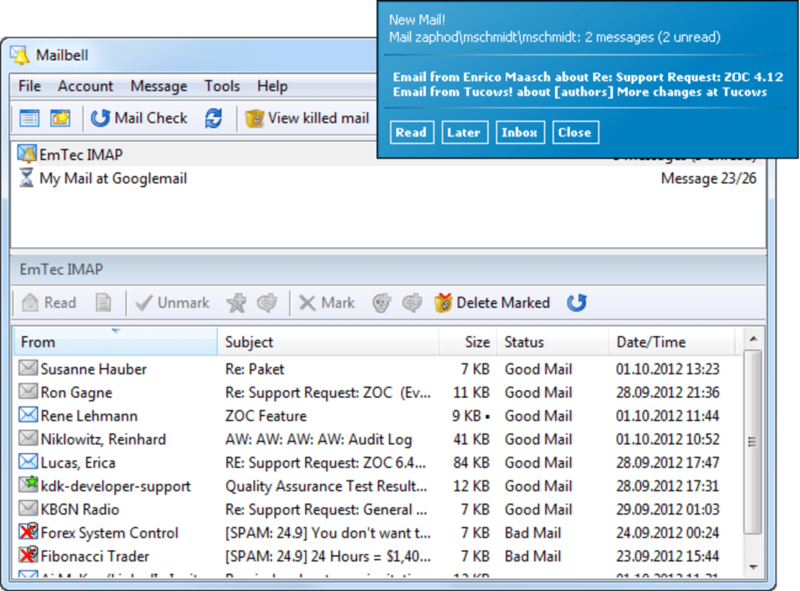 MailBell can be configured to handle different types of email in different ways, eg. to suppress the sound for spam mail. It also displays the number of available messages in the system tray icon and comes with nice sound files. In the lower part of the Window, MailBell will show a list of all messages. From there, mail can be previewed or even deleted without downloading it into your email program. This can be useful to save download time if you receive an unwanted mail with a large file attachment or to delete potentially unsafe mail before it comes even near to your computer. What do you think about MailBell? Do you recommend it? Why?